Baby J is a little less than a week and a half away from six months old, and I kid you not, I am getting misty-eyed typing those words. Six months old. To tell the truth, I’m not exactly sure why it makes me so emotional. He is a ball full of love and silliness. He is healthy and happy (most of the time). I’d even go so far as to say that this whole baby thing is somewhat easy. We are blessed to say the least. The first couple of months, however, were a different story. Everyone said it was hard. My sister told me that the first two weeks were hell. But regardless of the warnings, and there were plenty, there was no way to prepare for that kind of hard. We didn’t know it at the time, but Baby J had silent reflux, and consequently screamed 23 hours a day. Not cried. Full on screamed. And if you’ve ever read my blog before, you know that I was not experienced in the baby department, like, at all. I thought it was normal for a baby to scream all of the time. It breaks my heart looking back knowing that he was actually screaming because he was in pain. Ugh. Now our little baby boy is holding his own bottles and rolling like a wild man. He will be crawling in no time. I am trying not to be sad that he is growing so quickly, but to relish in the now, because we all know how quickly it will go. Perhaps I can convince him to live with me forever? 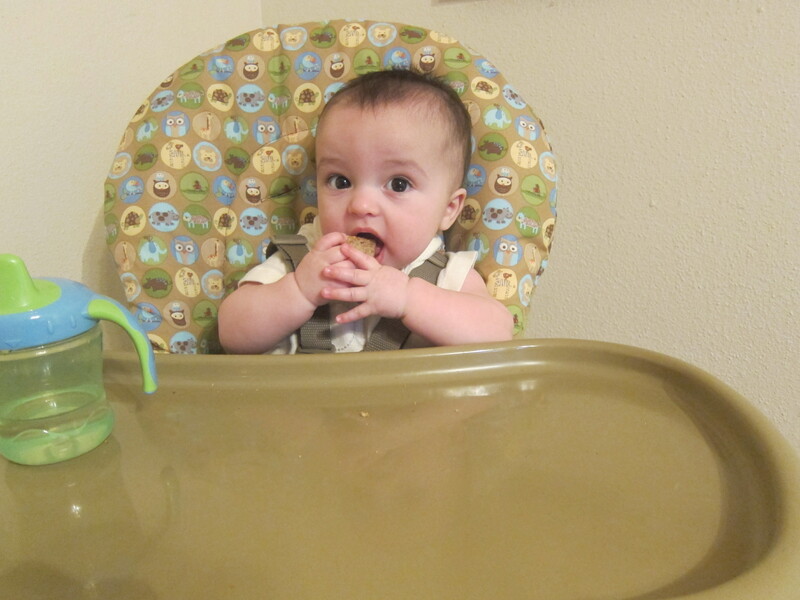 In my opinion, one of the most exciting parts of reaching the six month milestone is the introduction of solids. Up until this point, J has had no interest in eating anything other than his feet. After a lot of reading, we have decided to go a less traditional route and bypass the standard “first foods” (aka mush of some sort). 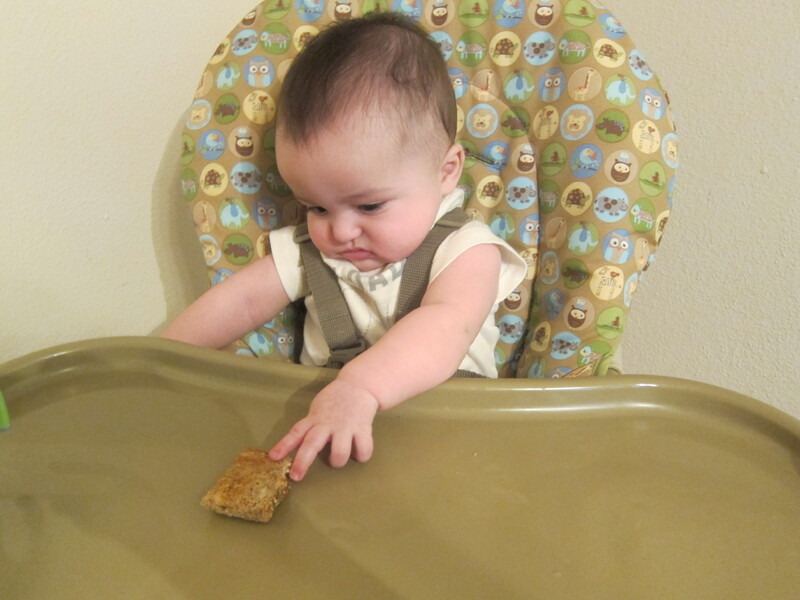 This approach to feeding is called Baby Led Weaning, and it is growing in popularity here in the states. In a nutshell, this approach allows babies to control their solid food consumption by “self-feeding” from the very beginning of their experiences with food. 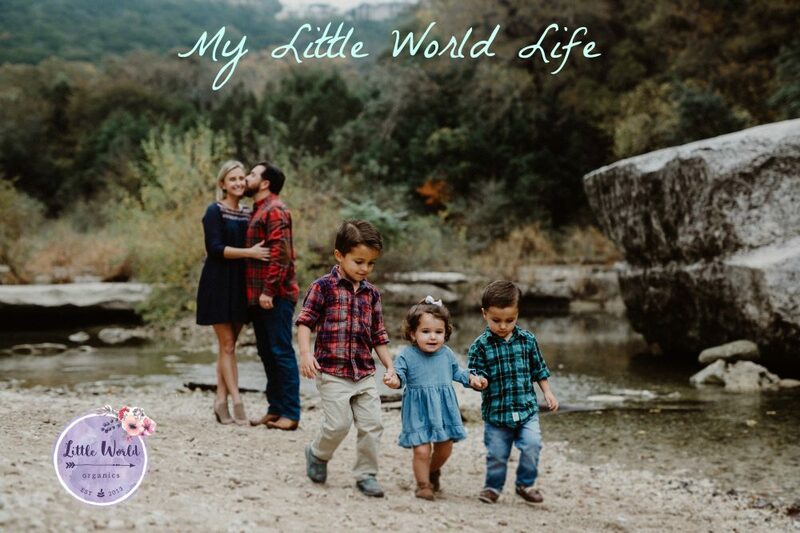 So far, we have offered J pesto pasta with veggies, toast, and a couscous dish… He is essentially tasting everything that we eat, which will sure make life easy when he is eating solids on a regular basis. Perhaps early exposure to a wide variety of flavors and textures will prevent J from being picky like his mama. Baby J trying a piece of lightly buttered toast for the first time. This week, I have planned my meals around Jack in hopes that I can offer him a little bit of “real” food each night. I’ve also selected high-fiber meals because I have ten more pounds of baby weight to lose… Beans, veggies, and whole wheat grains have always done the trick for me. I am using light ranch dressing and whole wheat pasta. Preheat oven to 350 degrees. Bring the veggie broth to a boil. Stir in couscous, cover, and remove from heat. Let sit for 5 minutes. Stir in the scallions, peas, pimientos, and olive oil (I added 1 clove minced garlic & handful of garbanzo beans). Lightly oil 2 qt gratin dish. I used mid-sized casserole shown below, b/c quite frankly, I don’t know what the hell a gratin dish is. Spread couscous mixture evenly in the dish. Sprinkle the top with bread crumbs and parmesan. Dot with margarine, cover, and bake for 15 min. Uncover and continue baking for 5 minutes more, or until top is lightly browned. *This is my own “recipe.” I don’t measure anything. Preheat oven to 350 degrees. Pour a small amount of enchilada sauce into casserole pan and spread around to prevent tortillas from sticking. Mix beans, corn, & sauteed veggies in bowl. Spoon mixture down center of tortilla and top with grated cheese. Roll tortilla and place in casserole. When you have made your desired amount of enchiladas, pour enchilada sauce over tortillas and cover with grated cheese. Bake covered for 30 minutes, uncover and cook another 5 minutes. Cook pasta according to directions. 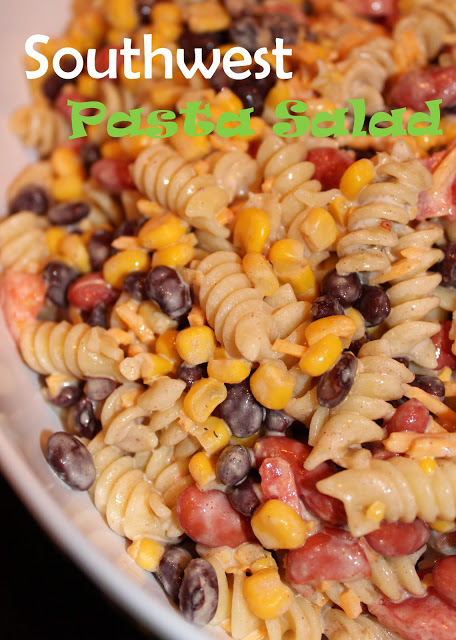 Mix pasta, sauteed veggies, and beans in large bowl. Serve with parmesan cheese. So that’s it! I’ll let y’all know how it goes. Oh, and just a side note, I am seasoning after I set aside J’s portion, and I will also make his portion more baby-friendly by cutting into small pieces/and or lightly mashing. I don’t expect him to eat much at all, but hopefully the experience will pave the way to adventurous eating in the future. I also plan on discussing Baby Led Weaning with my pediatrician at his six month check-up. 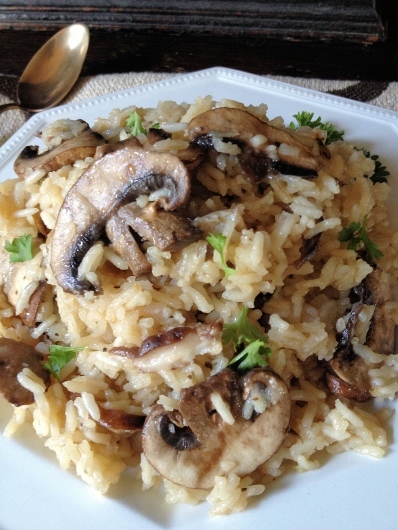 This entry was posted in Baby, Blog Posts, recipes, vegetarian, Weekly Dinner Menu. Bookmark the permalink.